Hey, everyone! 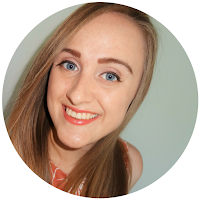 A couple of days ago I wrote a post telling you all that I didn't get my dream job, which was an associate position at a law firm that I had interned at for two years. While I was extremely devastated at the time, I knew I had to quickly spring into action and find a new plan for after graduation. After all, I have student loans that are going to need paid back, so I need to find a way to earn a paycheck. And I am pleased to say that at the end of October last year, I accepted a judicial clerkship! This is the story of how I landed on that position. After getting the bad news of not receiving an associate position, I took a day or two to gather my thoughts and go over my options. I thought about going to get an LLM in taxation, because I have a pretty heavy interest in pursuing tax law for a career. However, after I already didn't get a job due to the fact that I wasn't open to some areas of law, I figured that narrowing my interests even further would probably have negative results. And truth be told, I am more than ready to be done with school for awhile. Maybe in the future an LLM will be an option for me. But until then, I needed to find a job. Since the beginning of law school, I have had my eyes set on a law firm career, doing some sort of transactional work. I knew that I wanted to be in one of two cities after graduation, mostly for personal reasons and family ties. So I made a list of all of the law firms that I could think of in the area that were about the size of firm I was interested in and that I knew had a strong transactional practice. I sent emails to all of the recruiters or HR managers at those firms. I also used my most basic research tool - Google - to look for more firms in the area. Basically, I sent out SO many unsolicited emails. And with the way these things go, I received a few rejections, a few contacts to set up a meeting, and a whole lot of silence. I met with two firms - one on the phone, and one on a coffee interview. The phone interview went well, but I didn't really like the people I talked to. On top of that, they hadn't ended their summer program yet, and whether or not they could move further with me was conditional on one of their interns not accepting an offer. The coffee interview went great. I loved the people and everything I heard about the firm. But they had never hired someone directly out of law school, and were hesitant to make any decisions until the summer. And before I knew it, I was back and school and hearing mostly silence from anyone I sent emails too. Now, I try to be a really positive person, but I was starting to really get discouraged. I contacted my career services office at my school, and got them to get me reciprocal access to the online job boards at the local law schools in the cities I was interested in. I turned on Google job alerts and asked around with my colleages. Basically, at this point I was waiting for opportunities to arise. Here and there I was able to apply to a couple of things, but nothing I was really interested in. I applied to a job fair, but the organizers lost my application and that limited my chances. A lot of what I was finding was that firms needed litigators, which always stung a little considering that is why I didn't get the job I wanted. Now, I am the type of person who really enjoys security. So I wanted to have a job picked out by the time winter break rolled around. And to be honest, when I started my job search, I didn't think it would be too hard. I had a pretty impressive resume, usually great interview skills, and was thorough in my application process. But nothing was coming easy. I figured I would have something before the end of August. And then September rolled around. And then October. I was really discouraged, and starting to get to a bad place emotionally. I met with my career services advisor a couple of times, and realized I needed to change my focus. I was still stuck on finding my dream job - you know, like the one that had just rejected me. But really, I just needed to be looking for my first job. Although it would be nice to start where you want right away, but the reality is that doesn't happen for most people. I realized I needed to be looking for something that would give me good experience, an opportunity to grow, and the ability to make connections that would bring me success later. In considering all of my options, I actually also applied to two "JD Advantage" jobs. These are jobs where you don't necessarily need a law degree, but they prefer to have lawyers in that position. One of these jobs was at a bank, in an entry program that places you in one of many departments after a year. It would be risky, but I really loved the people I interviewed with, and some of the jobs I could get after the program would've been amazing. Another was with an insurance company, in a claims position that was similar to an in-house job. I was contacted by a recruiter for that one. But I was worried that with these positions, I would potentially hurt any future chances at ending up in the type of firm I wanted to work at. Then, one day, as I was doing my daily job searches on Google and job boards, I saw a position that just kind of felt right and fit. 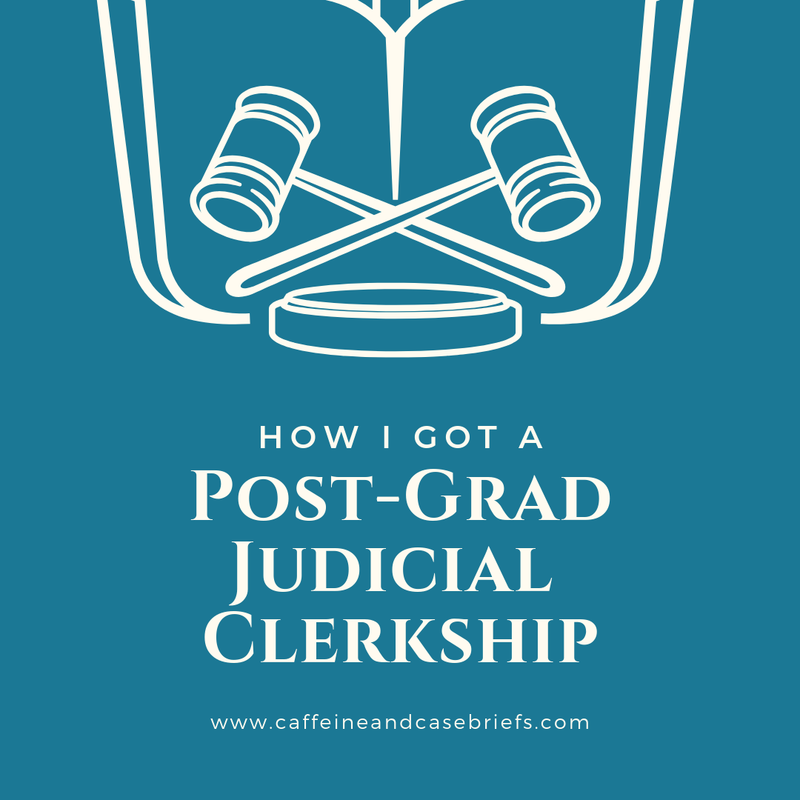 It was a judicial clerkship with a state court of appeals. I was definitely intrigued, and compelled to apply. Now, here's the thing - I had never wanted to do a clerkship. Never even considered it, actually. Clerkships are usually an entry-level position for future litigators, highly sought after and some of the greatest experience you can get if you want to spend your career in a courtroom. I had always been interested in transactional practice, so a clerkship was never on my radar. But for some reason, I was like, "Hey. This seems like exactly what I need right now." A year or two to learn and grow, network, and wait for the job market to turn around and need transactional lawyers again. Or if it doesn't turn around, at least I will know a little bit more about litigation and might feel comfortable taking one of those positions. So I went ahead and sent an email to the judge with my application materials. Within an hour I had an interview set up. Two weeks later I met the judge in a hotel lobby where the state bar association conference was going on. I was wearing my favorite suit and heels, and walked up to the judge confidently and introduced myself. We sat down for an interview, and things went pretty smoothly. It felt more like I was talking to a friend, and I knew that I would love to work for this judge. 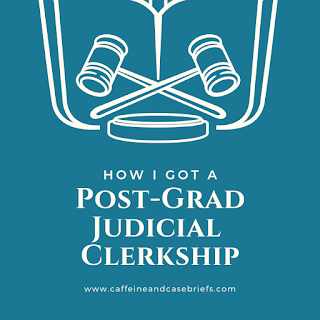 We talked about my past experience, terms of the clerkship, things like that. The biggest thing I was most nervous about was explaining why I didn't have a job at the firm I interned at for two years, and why I was suddenly pursuing a clerkship. I had met with my career services advisor and asked a couple of friends how to address it, but they all suggested I say my interests had changed or something of that nature. Sitting in the interview, I realized that wasn't right. So I just told the judge the truth. About how I loved my old firm and was devastated not to work there, but how it caused me to reflect on what I need to do. About how I couldn't find a perfect job, and needed a year or two to figure it out and learn. And about how a clerkship would help me learn and grow without hurting my career. And the judge was actually really cool about it. She told me she needed to do a few more interviews and call some references, but that she'd be in touch in a week or so. And to be honest, I walked not feeling worried anymore. As soon as I got back to my boyfriend's apartment, I told him "I think I just got a job." I flew back to my law school and, although I was still a little nervous, that extreme anxiety that I had before was gone. About a week and a half passed, and I got a call from the judge offering me the job. I immediately accepted while on the phone. Now, there are conflicting ideas as to whether or not you should accept or you should make them wait, but I was sure this was the right opportunity for me. And I could not be more excited about it. If you had asked me six months ago if I would be interested in a clerkship - the answer would be absolutely not! But now, I realize that it is probably the best position I could have asked for at the time. If anyone is going through their job search and not finding the right fit, my advice would be to be patient, open your mind to what you might need, and the right job might come along. I've come a long way from the devastating moment six months ago where I was rejected from my dream job, and now I am looking forward to starting my first big kid job as a judicial clerk this August! Could you talk more about how you built such a great resume?